QUICK JUMP: Contestants Pageant Information How to compete in All American Beauty Pageant 2018? 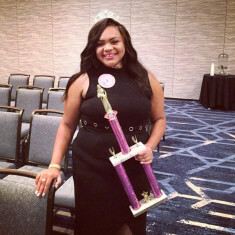 All American Beauty Pageants' mission is to focus on the entire individual; therefore, we incorporate talent, community service, public speaking, and academics in our pageants. We provide classy & fabulous pageants leaving lasting impressions. All American Beauty Pageant is a charity driven pageant our goal is to make an impact in our contestants lives and others we come into contact with. How to compete in All American Beauty Pageant and Modeling Inc?